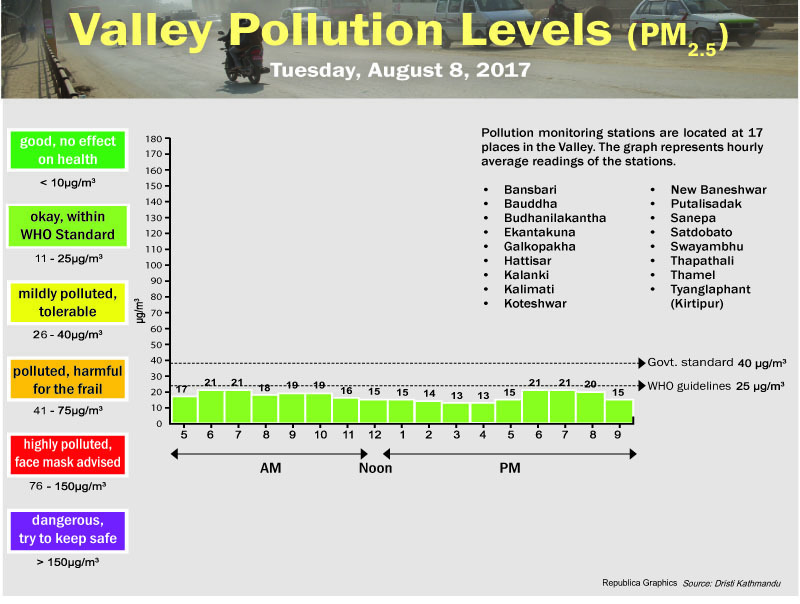 The pollution level of fine particulate matter, PM2.5 (PM less than 2.5 microns) of Kathmandu Valley in a day is shown in a graph. Pollution monitoring stations are located at 17 places in the Valley. Donald Trump’s announcement that he intends to withdraw the US from the Paris climate agreement has sparked renewed interest in the question of what the agreement actually requires countries to do. Most legal analysts, climate negotiators, and other close observers of the process have taken the position that the agreement itself makes emission reduction pledges essentially voluntary, since countries have free rein to set their own targets and policies and are not required to meet the targets they put forward. If you walk along the streets of Kathmandu, you might no longer see the heaps of waste that used to be a common sight a few years back. The credit largely goes to the fact that Kathmandu Metropolitan City (KMC) started penalizing haphazard waste dumpers. Even with KMC’s efforts, we still have a long way to go in order to have a clean city. Every person generates about 400 gm of waste, including paper, wrappers, tissues, plastic bags and bottles, each day. These waste materials are carelessly thrown out in the streets. Warnings over global warming have picked up pace in recent months, even as the political environment has grown chilly with Donald Trump’s formal announcement of the US's withdrawal from the Paris agreement. This year’s weather has beaten high temperature records in some regions, and 2014,2015 and 2016 were the hottest years on record.